It is important to carefully select what kind of content you want to have in your posts and profile. Your advertising needs to be clear and concise, getting an easily understood message across in as few words as possible. It goes without saying almost, that this content needs to be honest as well as cleared in regards to intellectual property and any other third-party rights. The law and the FTC treat social media advertising seriously, much the same as any other form of formal advertising, and it is important to abide by legal restrictions. Avoid any confusing or conflicting messages. In addition, any content that you post to your channels MUST be original! Avoid plagiarism and ensure that any exact duplication of content is properly credited to its original source. There are several major platforms right now in social media, YouTube, Facebook, and Twitter among others, and with time some of these may fall and new programs rise. It is important to review each platform’s terms of service and specific rules regarding business profiles, advertising policies and posting restrictions. In any form of advertising, it is important to determine your audience and sculpt your message accordingly, and this is no different in social media marketing. In addition to this, it is important to research regulations if your audience includes children. 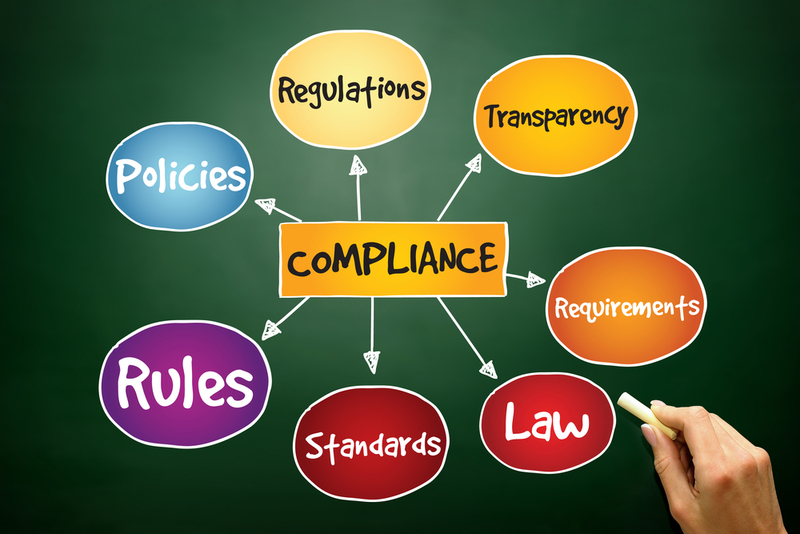 Government and self-regulatory bodies both have protections and qualifications in place to protect children under the age of 13, and if you intend to gather information or market to children, you need to be intimately familiar with them. Part of what makes social media marketing so impactful is the increased accessibility your business will have. It is also important to maintain a level of professionalism a degree above what you would want for a personal profile, although good humor is always praiseworthy and can increase your page-views. Finding a happy medium between business and light-hearted content can improve your social page’s intrigue. With an increase in publicity and accessibility comes an increase in vulnerability. Look into two-factor authentication passwords and/or password management programs such as LastPass. A breach in security or a stolen password can negatively impact your image and compromise other information. The anonymity and general inconsequential nature of our personal use of the Internet is a dangerous reflex. Knee-jerk reactions and thoughtless posting are common and generally harmless for personal use. However, with a business profile, one must be more thoughtful and careful when posting or following. Make sure to follow reputable people and other businesses connected to your own and avoid following unconnected people or groups. Think carefully and re-read each post before hitting the submit button. An impetuous and poorly written post can have long-reaching negative consequences. Remember, much like an elephant, the Internet has a long memory. Shown above are just a few examples of legal restrictions attached to creating and managing a social media page for your business, but don’t be dismayed. A well-organized and properly implemented social media presence could be the difference-maker in your business’s marketing efforts. If you think your company could use a little direction on how to use Facebook, Twitter, or other platforms to your advantage, contact us about our Company Training! Every company, no matter how big or small, should already be taking advantage of social media to achieve success in today’s interconnected and instant communication society. Websites like Facebook, Twitter, LinkedIn and Instagram let you connect with consumers instantly through simple, timely posts or with targeted messages filled with specifically intended verbiage. Social media profiles go beyond just connecting with your customers; they also enhance your business by making it more visible and searchable on the web. Search Engine Optimization, otherwise known as SEO, takes keywords from a web page and then ranks them according to various criteria. The better your SEO, the better chances your website can be found through an Internet search. Increasing your search-ability through the web makes your company more visible and findable. It also makes your digital marketing dollars go further. Social media profiles help your website’s SEO due to the fact that Google loves fresh content. The more people link to and look at your social media profiles, the more Google’s search engine algorithms notice your website. This could, in turn, lead to higher rankings on a search page. There are several keys to optimizing your social profiles for search engines. The general idea is to display the same branding across as many channels as you need. The first key is to remain consistent across every channel. The name of your social media profile should remain the same across every network. That includes Facebook, Twitter, LinkedIn, and Instagram. This is also true with a social media profile photograph. The photo should be professional, sharp and pleasing to the eyes. Your company logo is a wise choice as a profile image as it helps your audience recognize your brand quickly and remember it more easily. Fill out as much of your business information as possible on each profile. Some social media websites show you a meter regarding the completeness of your profile. Check to see if you filed in each field properly and accurately. If you miss a few important pieces of information, your search rankings will lack and customers may have difficulty finding you. Link all profiles back to the same web page; more specifically your company website. Use the same hashtags, location information and biographical data. Some profiles require more information than others. For instance, LinkedIn has several categories for a business to fill out, and that’s only after you create a professional profile for yourself. Twitter, on the other hand, has just a few lines in the profile visible once you reach someone’s Twitter feed. Familiarize yourself with the different profile capabilities of each network in order to better understand what is expected of your social pages in order to achieve higher search rankings. The description of each profile should contain similar keywords related to your business. If your business focuses on selling the most up-to-date fashions for women, those words should appear in each profile description. After you complete every aspect of your profiles, it’s time to start sending messages to your customers or clients! Even the most tech-savvy business owners can sometimes need assistance with digital marketing. If you want to take your social media marketing to the next level, enlist the help of our Social Media Marketing Services and see what we can do for your business today! The social media titan Instagram has launched a new feature that is the mirror image of Snapchat. Instagram Stories is a video and picture based reel of what has been going on in your life for the last 24 hours. Like Snapchat, you can use 10-second video clips or pictures with unique filters, added text, and highlighters or markers to add some flare or comedy to your story. So how can Instagram Stories be valuable to your business and how can you use it to improve your social media marketing? With 500 million monthly users, you won’t want to miss out on Instagram’s new feature that allows you to more deeply connect with your fans and customers. One of the best and worst aspects of the old Instagram is that the feed is fairly pretentious, and is solely meant for perfectly doctored, specially curated, and notably filtered pictures. Users and businesses have said that it can be painstaking when deciding if a picture is good enough, or if it will help or hurt their credibility on the platform. Oh yeah, and if you over-post you could easily be considered a feed spammer. The beauty of Instagram Stories is that it is a transient way to tell your business’s story between pictures. There’s not as much pressure to create something perfect in those pictures and videos, and there shouldn’t be. You get to share something fun, goofy, informative, cool, or personal and within 24 hours it’s gone. Frequent and consistent posting of pictures and video in your Instagram Story is a great way to build deeper connections with your followers. Give them insight into the processes and the people involved in the day-to-day operations of your business. Use your stories to show your fans and customers that you are more than just a business who is churning out products or services for cash. Give them an insight into the personality of your brand, culture, humor, and make them feel like they are part of the family. Instagram Stories is a killer way to give your fans an inside view of what you are doing. Whether you are having a fun, having a creative meeting or hosting a huge event, Instagram Stories gives your business the ability to make all of your fans part of the experience; not just the ones that can show up in person. Post highlight pictures and video from a conference or event that you are participating in or hosting to make your loyalists feel like they are in it with you. Instagram Stories is a new tool that is too powerful to ignore. We don’t yet know if this is going to be the end of Snapchat, but Instagram has already improved on a lot of Snapchat’s translucent and confusing functionalities. Since this feature is seamlessly and unobtrusively integrated into an application that you are probably already using, there’s no reason why you shouldn’t be using Instagram Stories to connect with your audience. Even the most tech-savvy entrepreneur needs assistance with their social media marketing every now and then. If you’re looking to improve your online strategies while saving time for the other inner-workings of your business, be sure to check out our Social Media Consulting Services. If your business isn’t already using social media marketing to increase your reach and engagement, you should be. Social media is an incredible tool when used properly, but just in case you weren’t sure how to use it before, we are going to give you a crash course in how to do marketing research on social media. Hashtags are one of the best ways to increase your business’s discoverability in your market. Start researching some of the most popularly used hashtags in your market to see which ones your customers are gravitating towards. Taking a look at what other successful influencers are already doing in your market is super valuable for creating quality content and building engaging social media campaigns. Pick a handful of researchers in your market to see how they construct their profiles, the type of content they are posting, what relationships they are leveraging, and how they are engaging with their audience. Knowing what kind of content performs the best in your market is crucial. Is your business product driven or service driven? Does that product or service translate better through pictures, video, text, or a combination of all of them? Identifying these items will help you in delivering the appropriate content that is desired within your field of expertise. See what kind of content your favorite influencers are using, and research what their engagement like their likes, comments, and shares are on their posts. When you are doing any kind of social media research, it’s always smart to poll the people who know you and like you the best. Create polls and ask questions on Facebook, Twitter, Instagram, and the other platforms that you are on. Your customers and fans will appreciate being a part of your process, and that will help you create better content for them by knowing exactly what they want. It’s not a bad idea to use your gut when doing some research, but make sure that you quantify and track as much as you possibly can. At the end of the day, knowing what works and what doesn’t is in the numbers. ● What influencers in your market get the most likes, comments, and shares? ● What businesses get the best engagement on their pages and profiles? ● How often do they post? ● When do they post? ● What do they post? Creating what you like is important because it fuels you to work for your business, bu doing the research to know what your audience craves and shares is even more critical. Use these social media marketing research tips to build a social media growth plan for your business. There is no scientific formula for the best way to market your business on social media networks, which is why Social Connect can take a look at your current strategies to determine what works for you and what doesn’t. Learn more about the process of our Social Media Analysis by clicking here! 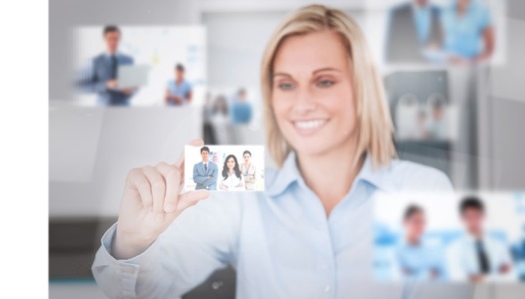 Are You Using Social Media For Hiring Employees? Social media has changed the way many businesses operate, not only through how they share news but also through the ability to recruit potential employees. As the millennials enter the workforce it is vital to consider how to attract them to your company. Do some research to find which social media sites are most often used by your potential hires. Most likely you will find that one is more widely used by people with the business credentials you are seeking than others. Connecting with proper influencers is crucial in expanding your reach, but it is also important to keep your business relevant. If your posts have genuine value to other players in your industry, it will encourage them to follow you. This also means keeping your profiles fresh and up-to-date. The fastest way to use social media as a recruiting tool is to review a candidate’s public postings. However, you need to be careful when doing so. A court will automatically assume you aware of taboo topics that would not normally come up in a face-to-face interview, such as religion, age, sexual orientation or disability. This is why employers need to be particularly careful not to ask interview questions beyond legal limits. Discriminate: State and federal law prohibit against hiring decisions that are based on color, religion, race, and other individual factors. Believe Everything: Chances are there is incorrect information in someone’s social profile. Whether it be intentional or unintentional, check references and call past employers even if it is to simply confirm work history. Forget a Hard Copy: It is a good idea to print hard copies of social media content that is relevant to a hiring decision, even if you do not choose to hire that candidate because it will help to defend your decision if it is challenged. Ignore Laws: There are already laws that pertain to social media recruiting on the books. Companies that use social media reports to aid in a hiring decision must abide by the Fair Credit Reporting Act. Get Too Much Information: While there is a large amount of good information out there to help you get to know your candidate, it is better to not investigate too deeply through a candidate’s social media accounts, as you may learn answers to questions that would not otherwise come up during the typical hiring process which could influence your hiring decisions. With social media being one of the fastest possible ways to spread news and information about your business, it would be to your advantage to utilize it during the process of hiring employees. Get the word out and find the prospects that can best serve your company as a whole, all while remembering to tread carefully while doing so to avoid legal ramifications. For corporations of all sizes, hiring employees is just one of many things that can be expedited and effectively practiced through the use of social media. If your business needs a stronger online presence on any of the given social media networks, Social Connect has the solution you’ve been looking for! Check out how you can learn how to properly manage all of your business’s social media channels through our Corporate Training Packages! Facebook Groups are user-created groups based on common interests. These interests can include anything from a favorite celebrity or other entertainment news to more beneficial purposes such as similar business interests. With these social media groups that can be created as either public or private, there are several innovative ways they can help your business regardless of its size. Many customers value the idea of accessibility to your knowledge and expertise. By creating a Facebook Group or contributing to an existing one, you can become a useful resource for thousands of potential clients. This establishes your reputation without any blatant self-promotion. Older methods of organizing events and promoting your business can often feel like herding cats. Using Facebook groups to do so lets users easily network, share photos, and collaborate. Once any promotional material is finalized, it’s easy to share with the rest of Facebook! Modern customers also value the feeling of exclusivity; of being “in the know” about special offers. Within your Facebook group, you can “pin” a post to the top of the group, making it easier for everyone to see. Making this pinned post a special offer (such as a free eBook) helps promote your relevance and makes customers feel valued. Modern clients want personal customer service (as opposed to something automated), but would rather receive it by online chat rather than making a direct phone call to a phone tree. Cater to your customers with a “secret,” invite-only Facebook Group specifically for customer service. This provides a forum for genuine questions and helps keep disgruntled customers from your business page. 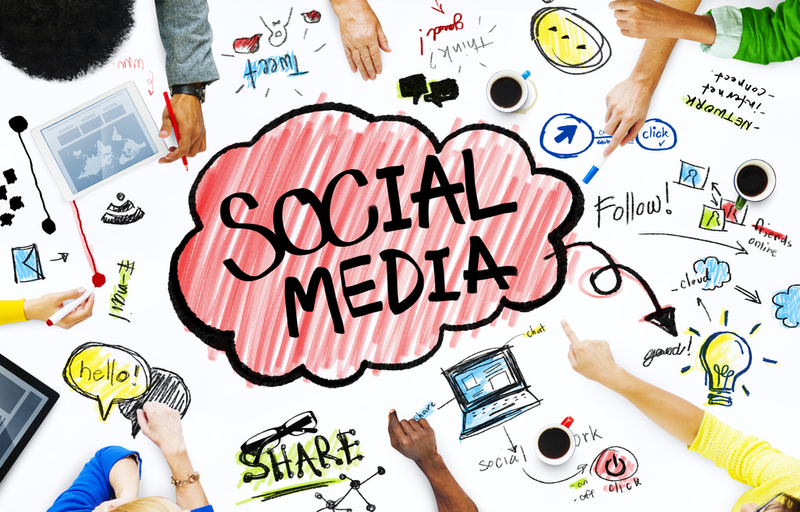 Hopefully, you are utilizing other social media outlets and blogs for your business. Using smaller Facebook Groups is a good way to test how customers will respond to new content you create. Take what gets the most group engagement and turn it into content for your public business page. These five tips can certainly improve your customer engagement and retention, however, there are a number of other ways in which you can use Facebook Groups to your business’s advantage. Have you found your niche by using these groups in other ways? We’d love to hear your feedback, so please feel free to comment in the box below. And while you’re at it, be sure to check out how the Social Connect Facebook Page is kicking off the month of August! 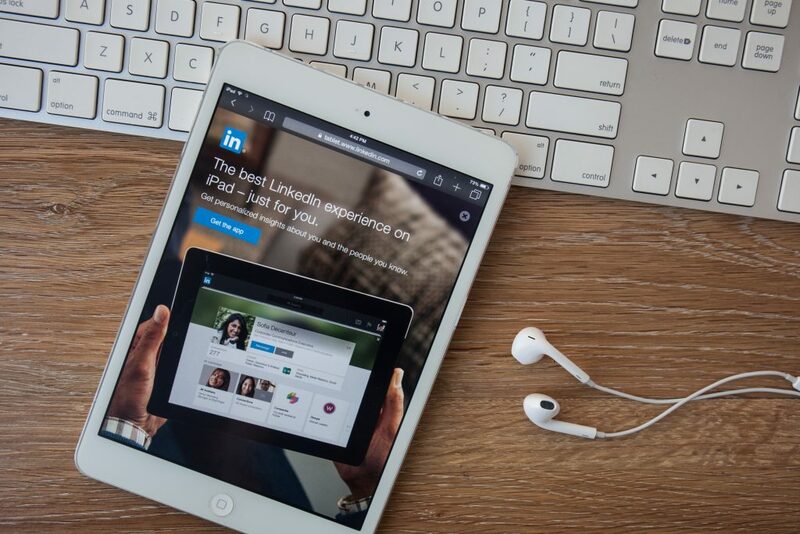 Have the number of views on your LinkedIn posts diminished over time? Or perhaps you’re just starting up and would like to kick off your LinkedIn account with a bang. There are a variety of different things you can do to increase the views of your posts, and ultimately, gain the notoriety that your products and/or services deserve. Here are eight ways you can boost the views of your posts! Just like posts you see on other social media platforms, the catchier the headline, the more people will inevitably read it. It is key to grab the attention of your followers right from the start to entice them to click on something that will interest them. Lengthy posts have a tendency to deter readers from proceeding. They want to be able to skim something quick and get the gist of an article pretty quickly. With that in mind, try not to go overboard and keep your posts to a maximum of 900 words. Remind your followers of some of your past articles that they may have missed by including their links at the bottom of your new posts. Doing this creates a Call to Action (CTA) used to entice readers to continue engaging on topics similar to the one they just read. This may seem like a no-brainer, but the more people you connect and network with through multiple social media outlets, the easier it is to create a larger following on LinkedIn; leading to further business communications, and of course, more views on your LinkedIn. Weeknights or weekends are the ideal times to publish posts. It has been proven that the most activity on LinkedIn occurs during these times. Write and post about topics that will greatly interest the general public as a whole for the best chances of maximum engagement. Research what is currently trending and popular in the world of your particular business and utilize the interest to drive traffic to your own posts. More often than not, the first thing anyone notices about any article or website is the imagery. Using images that are unique and pertinent to your articles will help appeal to people almost instantly. It’s a simple matter of fact that the human brain is instinctively drawn to things that are visually appealing, but we can also be deterred by poorly chosen images; so choose wisely! If you notice your colleagues are publishing things of great interest, it never hurts to ask what their particular strategies are. Not everyone will be willing to divulge their secrets to success, but for colleagues and friends that you are closer to, sharing ideas and getting solid feedback can be just the help you need to boost those views. Posting on social media, in general, can be a touch-and-go process, especially for those just starting out. Whether it is on LinkedIn, Twitter, or Facebook, you want the content you publish to be of interest to as many people as possible in order to grow your visibility online. If you’ve had significant success and increased the traffic on your business’s LinkedIn posts, we’d love to hear from you! Feel free to share your experiences and success stories in the box below, and be sure to contact Social Connect for any and all of your Social Media Consulting needs! Social media is great for conversations with your audience, but when it comes down to the purpose of your business account, you ultimately are looking to bring prospects closer to taking the next step. Your call-to-action, or “CTA”, is the most compelling piece of information you’ll include in your posts. The CTA is crucial in increasing your conversions. 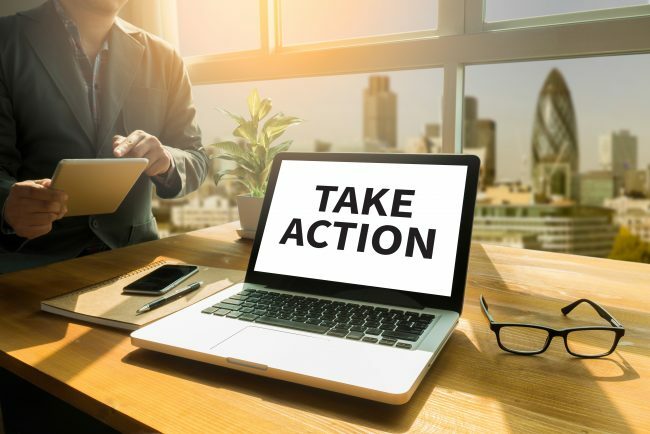 A clear, commanding call-to-action can change the tone of your social media conversation and turn followers into faithful customers. At its most basic form, “Buy Now” is considered a call-to-action. However, many companies have found more subtle, creative ways to transform their social media marketing. Most Web users are accustomed to regular calls to action. They’re found across a variety of pages, pop-ups, and posts, and are so common that most of your audience members are expecting to be told what you want them to do. Rather than frustrating your followers, get to the point and make your CTA stand out from the rest of the text and design elements on your social media page. Start your call-to-action with a clear, concise instruction that tells your followers exactly what step you want them to take. Begin with a strong verb, like “click,” “download,” “share,” “subscribe,” or “buy,” are direct attention-grabbers. The fear of missing out, FOMO, is vital for a successful CTA. Creating urgency can work to your advantage when users feel like they might lose the chance to take advantage of a good deal. If someone was unsure, adding words like “today,” “last day,” and “limited time” can be enough to help them decide. 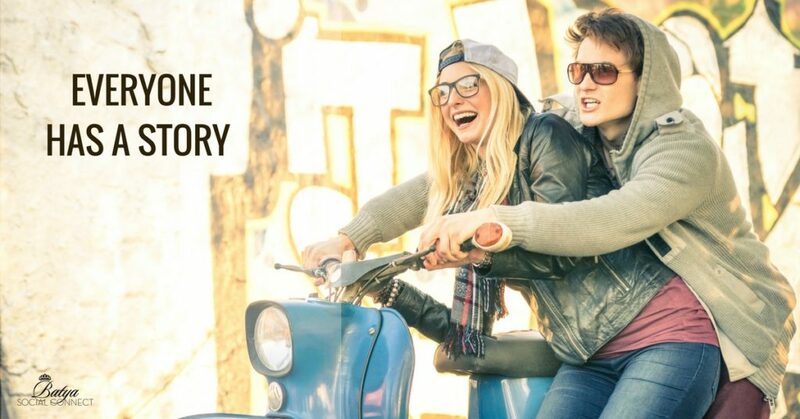 The right design can make or break your CTA. Start with your background image. Many companies choose a solid color behind the words, others choose to add a graphic image. Make sure that the art you choose is relevant to your offer, and use a bold, contrasting color for your text. Consider using more than one font, as well, to emphasize the most important words in your call-to-action. You should be able to answer the benefits that a follower will get by taking your suggested action — and should make this clear. From a free white paper or membership in a private accountability group to a discounted rate or the feeling of satisfaction from helping an organization or cause, emphasize the benefit to your audience members. Think of your calls to action as the “icing on the cake” for your social media posting. The quality products or services that your business offers can become significantly more prominent to your followers through a carefully worded and structured CTA. Now that you’ve gotten a clearer idea as to how to conclude your posts, let’s take a look at how you can improve the visual components of your social media content. Check out five online tools that are widely used for visual marketing, easy to use, and FREE! The purpose of social networking is to build a large network of friends or followers who are interested in what you have to say or services that you offer. By sharing information, relevant content, and creating posts that strike a chord with your followers, you can build your brand and develop a base mixed with prospects and customers alike. There are two ways you can create and expand this base. Pay to find followers: From ads along the side to boosted posts, many businesses have used valuable ad dollars from their marketing budget to increase views and followers. Organically reach new followers: Create posts that naturally draw people to your page. 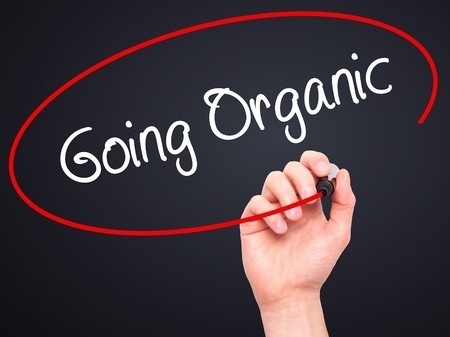 Clearly, from a budgeting standpoint, increasing your organic reach is the way to go. Not only are you saving money from your marketing budget that can be used elsewhere, but you’re creating an audience of people who either sought you out first, saw your information and were interested on their own, or received your information from a friend, a follower who liked your page organically is a more qualified prospect. 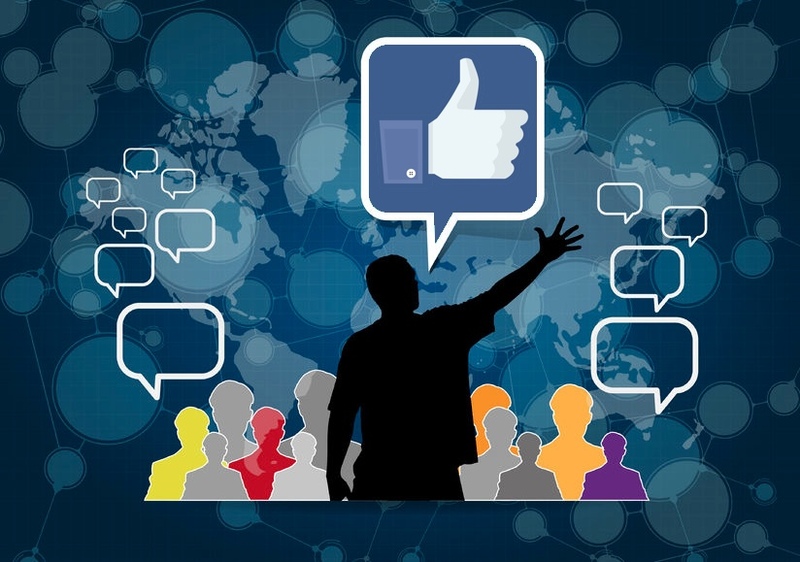 On average, only 6 percent of Facebook followers see your content. We’ve found several ways to get around the unique formula Facebook uses to determine who sees your content. Create usable content, such as videos, infographics or images that quickly show your audience more about your business. Just like other social media networks, there are certain times of the day when your followers are active on Facebook. Start by looking at your page’s analytics., and experiment with various post times. Average out the times with the highest reach, and start scheduling your posts around the winning time slot. Show your followers the personal side of your business, even if it’s not always relevant to your primary business. Let followers get to know the people behind the brand, take them backstage at events or in day-to-day office life, and invite them to see what goes on behind your front door. Ask a specific, pointed question, respond to comments, challenge followers to caption a photo, or fill in the blank on an open-ended sentence. Through all of these, you’re showing followers that you care about their opinions and want to get to know them. Once you’ve enabled targeting and privacy for posts, you can choose specific keywords and interests for each post.Or, use online tools that can analyze and compare your posts with content published by your competitors. Make sure you are posting regularly, but not too frequently. Continue monitoring your analytics to ensure that your followers are responding to your content. By increasing your organic reach on Facebook, you can begin growing a more broad audience while maintaining your loyal followers without breaking the bank. Making new connections and highlighting your business’s strong points is the beauty of social media, so let Social Connect help you through your marketing journey! Check out our Facebook Page for more helpful tidbits and updated information on the world of digital marketing, and be sure to leave comments or any questions you may have. We look forward to hearing from you! Snapchat For Business: A Viable Marketing Option? Many have often seen the small yellow icon in the app store, but its users don’t see repeat content. Snapchat is an app that was designed to erase a message after it has been viewed by the recipient. It’s seen extraordinary growth over the last few years. In 2011, a relatively unknown app hit the Apple App Store. This iOS-only application, Picaboo, was the brainchild of Stanford student Evan Spiegel, who was intrigued by the idea of an impermanent image. Two months later, the app got a facelift and a new identity and came back as Snapchat. Eight months after the project launched, users were sending 25 images per second. Recent numbers show that more than 9.000 snaps or images are now being sent each second; a realistic and accurate look at the company’s rise to fame. There are more than 100 million daily active users, Spiegel has said. It’s growing among marketers, as well. In 2014, only one percent of marketers were using Snapchat; newer numbers show that in 2016. 22 percent of marketers were going to begin advertising on Snapchat. With the company’s recent announcement of Geofilters for advertising and a concerted effort to increase reach for marketers, expect to continue seeing an increase in the use of the app. Overwhelmingly, Snapchat is used by members of the millennial generation. Individuals born between 1980 and 2000 make up almost three-quarters of Snapchat users, and 30 percent of all Millennials are using the app. From the live stories to the custom geofilters, this age range wasn’t necessarily born into the information age but has wholeheartedly embraced it. Businesses looking to reach this demographic have seen tremendous success with creative campaigns that engaged users and encouraged feedback. Snapchat has found tremendous success with its stories, where more than 500 million ten-second clips are shared each day. Show off trade event happenings, live features and speakers, and product launches. Some brands have created communities of followers who love the advanced news they receive. From fashion designers and actors to restaurants and sports teams, followers appreciate the one-of-a-kind information they find within the app. Show your followers raw products and services in a fun, engaging manner. Let each of your employees have a turn updating the company Snapchat account and show off your company culture. Keeping your content whimsical, playful, and fun is the best way to keep followers happy and engaged. Even with its recent growth in popularity, it may take some time for this relatively new app to gain momentum and expose its true potential for business marketing. 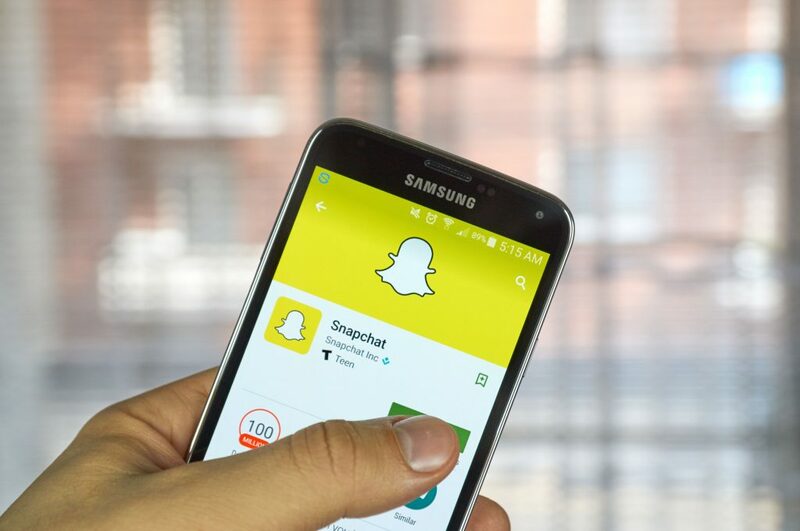 However, if the increase in personal users of Snapchat and rise in popularity is any indication of how it will be accepted and utilized by business owners in the future, it could very well become a vital part of any digital marketing strategy. Have you tried Snapchat for personal use, or even began using it as part of your digital marketing strategy? We would love to hear from you! Please share your experiences and insights on this app in the box below!